AD16-22DSV indicators are adopted LED light-emitting chips as light source, has the characteristics of long service life, low energy consumption, small size, light weight, is XD type of various of incandescent lamps and neon lamp replacement products. The lampshade is made of high strength polycarbonate, has good impact resistance, built-in screw-type wiring, safe and convenient terminal. 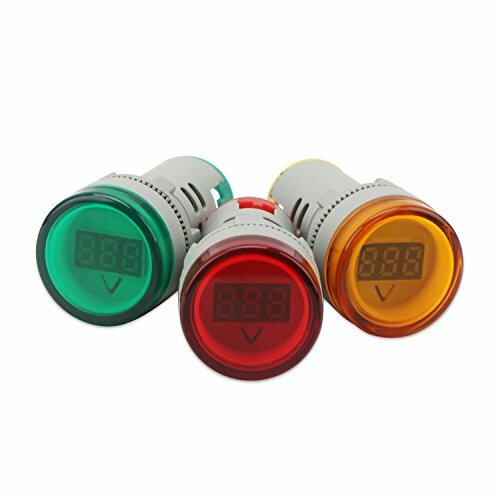 The series indicator is suitable for signal indication, warning signal, accident signal and other signals in the line of electric power, telecommunication, machine tool, ship, textile, printing and mining machinery.